Personal tragedy convinces half-werewolf Alexa York to get away to the town of McCormick, Pennsylvania where she's charged with protecting Dr. Aiden Joss, physician to the supernatural community. Not only does she need the money, she needs the distraction. Unfortunately, she gets it in spades when Joss's personal issues and a myriad of dangerously sick patients make her new job nearly impossible. A mysterious disease is running its way through the New York Order of the Amazons and leaving bodies in its wake. The same warrior who had chosen her clan over Joss has asked for his help. Even though the disease is real, Alexa has reason to believe his ex's sincerity is not. Given the other numerous problems she has to deal with that are outside of her job description, Dr. Joss might be the biggest threat to his own safety. But, protecting him comes first. That’s difficult to do when his efforts to find an antidote put everyone in his remote clinic in danger, including Alexa. The plot was great, full of twists and the story itself was tense and suspenseful. I mean, any storyline about disease has kind of captivated me since Steven King's The Stand, and Zombie apocalypse books kind of expand on that idea. Not that this was quite as extreme, but the idea that a disease is working it's way through the Amazons is frightening. You aren't sure if it's magic, or biological warfare, or simply just a disease that only those in the supernatural community can catch. 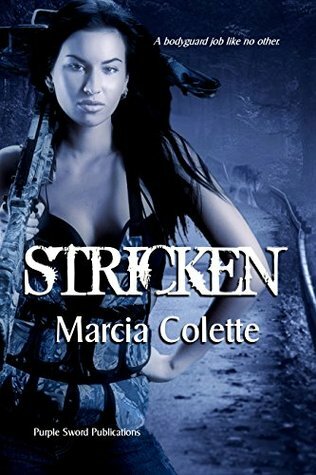 I definitely recommend Stricken for those who are interested in Paranormal books or UF books. Marcia Colette is a great writer, and has been able to make a very cool world out of supernatural Pennsylvania...not something I ever thought I would say...lol. This is a strong read from start to finish and Alexa is a solid character that you grow to, if not love, definitely root for her to save the day! I sure hoped Dane had told me everything I needed to know about this so-called mission. I would hate to learn something the hard—painful—way. Though that would never be his intention, I also knew his idea of what information was important to know was different from mine. Had it not been for Wesley Dane, a full-blooded werewolf friend of my family, I wouldn’t be here to play bodyguard for one of his closest friends. It wasn’t the thousand dollars a day, tax-free money for my services that brought me here. I needed the distraction more than anything. “So, how much do you know about me?” After snuggling into a thick, warm robe I found hanging on a hook, I dried off my hair with a towel and opened the bathroom door. Sammy was still there, though keeping his distance by waiting in the hall. I thought it was weird, but whatever, seeing as this was more his house than mine. “Enough, he replied. “You’re half-werewolf, which is extremely rare. You’re also married, which means either your husband, who’s a full-blood, or Dane is going to tear Dr. Joss apart if anything bad happens to you. Although, that sort of defeats the purpose of you being the doctor’s bodyguard.” He half-smiled. Bestselling author Marcia Colette didn’t discover her love for reading until her late teens when she started reading John Saul and progressed to works by Bentley Little, Stephen King and Laurell K. Hamilton. 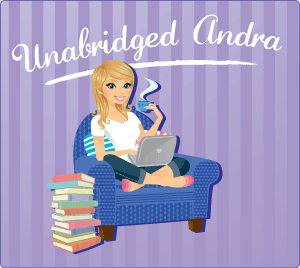 Her reading tastes convinced her to write paranormals where curses cause people to shift into spiders, psychotic and telekinetic mothers are locked away in attics, and murderous doppelgangers are on a rampage. Let's not forget about the hunky werecheetah coalitions who live throughout North Carolina. As long as she can make it believable, that's all that matters.  Marcia will be awarding a $10 Amazon or Barnes and Noble GC to a randomly drawn winner via rafflecopter during the tour. I live in NC, too! So happy there aren't any werecheetahs here! I enjoyed reading your review today. It's been a great book tour! I've really enjoyed learning about you and your book! Happy writing!